Paris went fairly well. I had fallen asleep by 2 and had to get up at 5 so I had only a few hours of sleep. In the morning I got up to catch a cab to the Eurostar station where I was to catch the train. I shared a coach with the other members of the tour, what a nice bunch! There was a family from Virginia, a family from Brisbane, and family from San Diego (they came from Nairobi!) and a daughter from Turkey taking her visiting father to Paris (she lives in London). We spent the two hour ride getting to know each other, the daughters from both Virgnia and Australia read HP fanfic! In fact, Laura from Brisbane knew about Cassandra Claire's stories! Small world. We got to Paris and met up with our tour guide, a Parisian by the name of Sammi. Sammi was a walking stereotype, black pointy leather shoes, black jeans with a flashy design, a tight red shirt with another fleshy design and a fancy black hat. I'm thinking he dresses like that on purpose so the people on his tours can spot him easily. He was very nice though and very French. He took us on a bus tour around the area, we saw a beautiful opera house, the Moulin Rouge, the hotel where Princess Diana stayed when she died, and the Arc De Triumphs! The bus dropped us off at the Eiffel Tower. We decided not to wait to go up to the top, it wouldn't been a two hour wait! Instead we decided on going to the Louvre. Before that though, we took a cruise on the Siene River, so lovely! We passed many lovely homes and cruised under many beautiful bridges. We also passed Notre Dame. After that we spent 21\2 hours at the Lourvre. My god, the place is beyond massive! After having lunch at the cafe (nothing for me, I was uncomfortable from my emerging sunburn), we went straight to the Denon Gallery where the Mona Lisa and the Venus De Milo are kept. It was nice seeing both of them, I really enjoyed it despite the massive crowds. The Mona Lisa looks like it's the size of a stamp! Not literally of course, but it's much smaller then you might think it is. After the Louvre we headed to Notre Dame! We went inside the Cathedral where people were praying, it was interesting and very lovely. Guards were standing around making sure people were silent, the silence made it solemn and quite plesent. After taking many photos and watching a street performer I went to a cafe across the street and enjoyed a delightful hot chooclate while waiting for the meetup time. I decided to do a bit of shopping, I hadn't bought anything from Paris yet. I bought a small dish that reminded me of my grandmother and a lovely shawl with the Eiffel Tower that was just lovely, dark green with gold reliefs. After we boarded the coach we headed back to the Paris De Naurd...the train station. I enjoyed a French ice cream while waiting for the train. On the ride home we chatted about our day and just about general things. Laura bought an itneresting wine that had a full sized and completely intact pear inside the bottle! After two hours and much laughter we arrived back in London. We exchanged goodbyes and Facebook details and went our seperate ways. I got back to my hotel and took a mucn needed cold bath to soothe my burns. I think the seaweed bath lotion really helped! 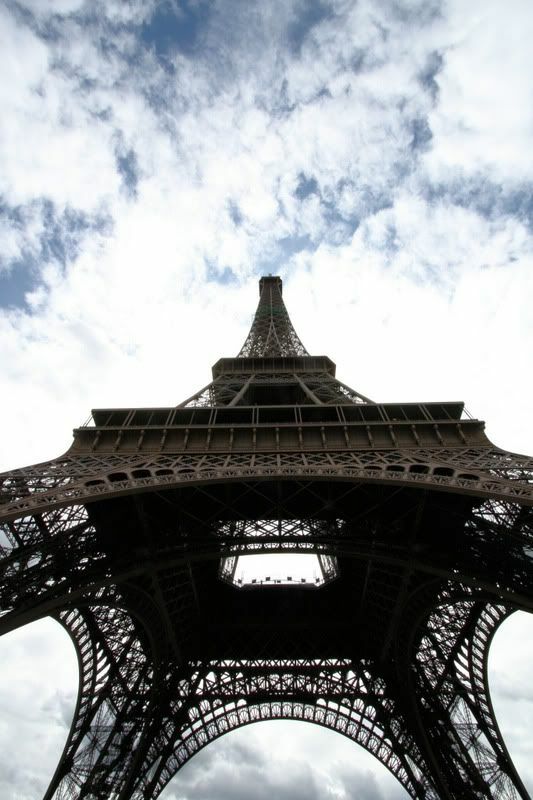 I had only two negative experiences in Paris; my sunburn and the rude workers at the Louvre. They might have been rude because they have to deal with massive crowds daily so I'll cut them a bit of slack. The rest of the French I came into contact with were pleasent despite all the silly warnings people gave me about them and Paris. Paris didn't smell and I wasn't spit on for being American *rolls eyes*. Silly stereotypes and I'm glad I proved them wrong. I did run into gypsies though but after shrugging when asking if I spoke English they left me alone. I heard somebdoy said "know I don't" to that question, haha so stupid. I decided not to overload you with many photos at once. Instead, I'm going to post one or two pictures everytime I post. I'll try to stay in order but no promises on that. So, expect Paris photos the next few days! People give the DUMBEST warnings about going to Europe. When I was in France and England not a single person was rude to me because I was American. I know, right? I didn't go into France thinking those warnings would come true. You invite rudeness if you give off the vibe that these people would probably give off. 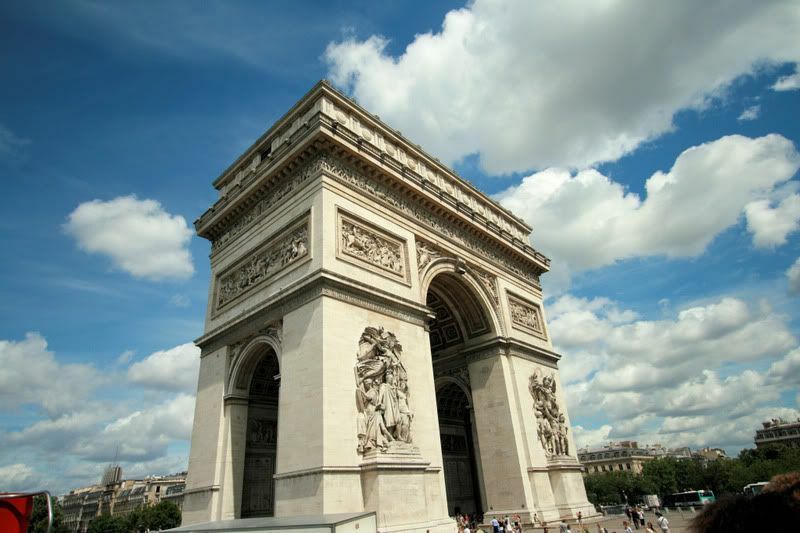 Oh mon dieu...that first picture of the arch de triumph is so beautiful! I'll be looking forward to your daily pictures. Yeah, I had also heard that warning, it's good to know it's not true.